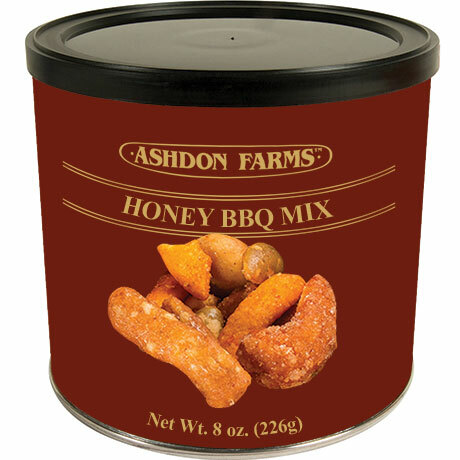 A savory BBQ mix with BBQ peanuts and corn sticks, pepitas, honey roasted peanuts, cashews, almonds and sesame sticks. Pull-top can with resealable lid. 8 ounces.